Why we need compostability standards? Compliance to these standards is easily recognizable by the public thanks to specific logos, which are released by independent certification bodies. All grades of Mater-Bi resin are certified compostable according to Australian standard AS4736. Certain grades are even certified for home compostability in Europe. What does it mean to be biodegradable and compostable? A biodegradable and compostable product is suitable to be recovered through biological recycling (thus composting and anaerobic digestion) together with kitchen and garden waste, leaving no harmful residues. Product of biologic recycling is high quality compost that is then used as an organic fertilizer. For this reason we need to be sure that bioplastic products are fully compatible with composting process and that they bring no inconvenience neither for the process nor for the product and the environment. Biodegradability should never be an excuse to spread waste into the environment in an uncontrolled and unlawful way. For specific applications, biodegradation in soil and in marine environment for last generation of Mater-Bi grades, have been demonstrated. Bioplas utilizing Mater-bi grades for agricultural mulch film, is the first polymer in the world to be awarded the “OK biodegradable Soil” standard issued by Vinçotte of Belgium, one of the leading international certification bodies. 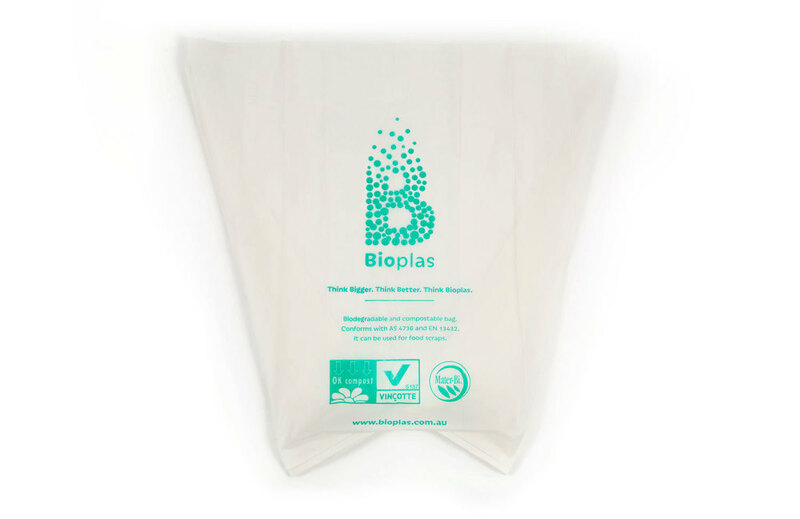 A recent biodegradation tests overseen by the Italian Institute of Plastics (IIP) show that when Bioplas use the fourth generation biodegradable plastic Mater-Bi, it has achieved biodegradation of over 80% in around 220 days. The laboratory tests simulate the environmental conditions of the sea bed and the seashore, habitats where a lot of plastic waste ends up. This data confirms that compostable products also tend to biodegrade under natural conditions, such as the marine environment, over a relatively short time.